I’ve come across the K. mark before but not IDed it. I haven’t seen it with the other mark. 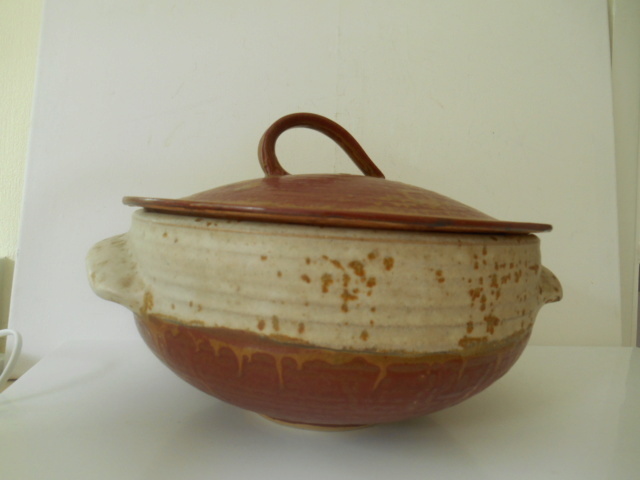 Kigbeare’s K is in a round stamp and anagama fired ; I don’t think this is wood fired. By Robin Hopper. 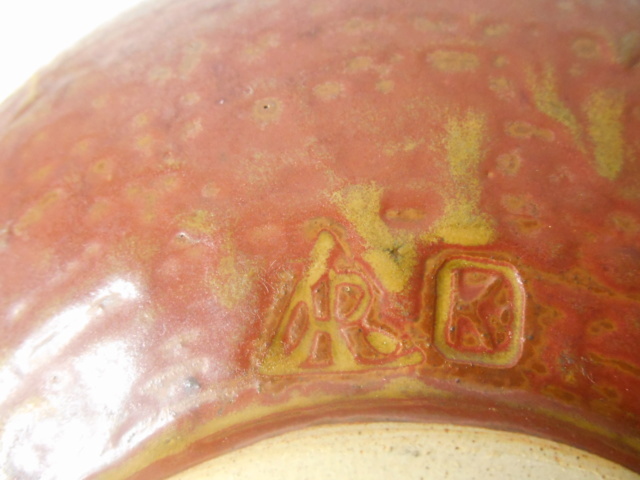 The K. mark is from his time at Kintbury Pottery near Hungerford in the 60s before moving to Canada. And it looks like his initials HR in the triangle.